Colton is adopted. It has been a journey that has stretched us and grown us. It is a miracle story. Colton’s birthmother chose us through a private agency. We walked through her pregnancy with her, went to doctor’s appointments, loved her and ached for her circumstances. Three weeks before he was born she found his birth-father and decided she would raise Cole. We heard from her just after he was born, when she learned that she would not be able to raise him she asked that we adopt him . . .
Then she changed her mind again and wanted to raise him and have him go into foster care. He did. His goal was reunification with his birth mother. We never got to see him or talk with her. All the doors closed. Four months later, on the day we were closing on our new home we received a phone call from the Department of Children and Families asking us if we would still be interested in adopting Cole. We were overwhelmed and knew it was meant to be. In January Colton’s birthmother, though she had been out of touch for months, went to a court hearing and requested an open adoption. It was then that she found out he was with us, we were all excited and were ready to enter into an open adoption with her . . . But after that day we have never heard from Darla again. Once she knew he was with us, she never made contact with any one again . . .
We had agreed to letters and pictures and two visits a year. We have been out of touch all of this time because there is no way to be in touch with her. For Colton’s birthday week we spent time together as a family reflecting on Darla. And Andrew and I wrote a letter to her, knowing she may never read it . . . hoping that someday we will see her again . . . .
We think of you often and are still hopeful for the day when we will be able to be in touch regularly. We named our little guy Colton Ian. His name means, “from the dark town into God’s grace.” We know that the months you carried him were challenging for you and that you carried him through the dark places into the light. We named him to honor you. 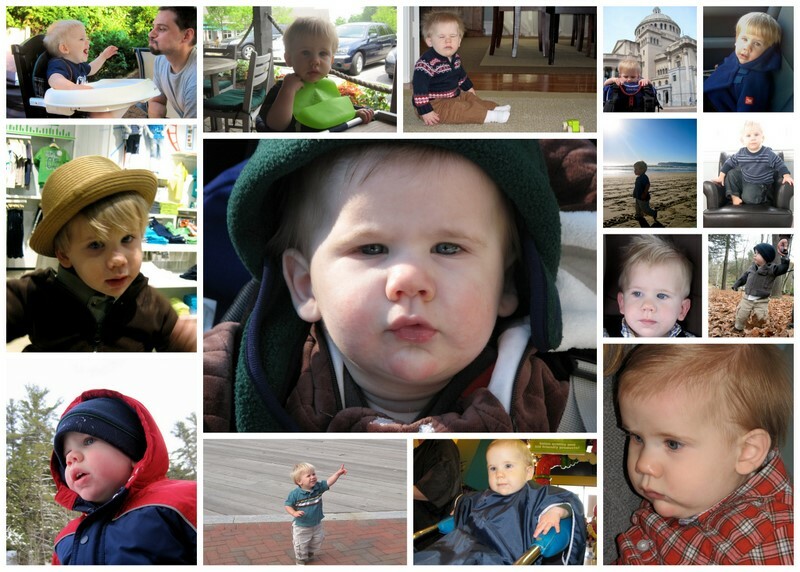 Colton turned two, and there is so much we would like for you to know. We have narrowed it down to three simple things . . . The first is that he is healthy, Darla! He is so healthy and active. He loves running and climbing, and he hit all of his milestones. He is a wonderful talker. He learned baby sign language when he was little, and once he started talking he added words to his vocabulary daily. We know how hard you worked to help him start off in the world in a healthy way, and he is healthy. Thank you for all that you did do to protect and care for him. We also have longed to tell you that you were most certainly right . . . you told us that you knew he would be a happy little boy, and he is! He is such a happy little guy. Colton finds the joy in everything. He loves laughing and singing and hugging. He wakes up happy and goes to bed happy. And if something happens during the day that is hard, he finds a way to joy so quickly. He shares with other children, and if they bump him or knock him down, he is quick to get back up and find joy. You knew him. He is just as you said he would be, he is a happy boy. And we want you to know that he carries pieces of you. We see you in him all the time. When we first met him we could see you so clearly in his four month old face. And to this day we can see you and we think of you. I think he carries the best of you in him. We tell him about you and how you loved him and wanted him and protected him. He knows your name. So as we celebrate Colton turning two, we also celebrate you, his birthmother. We celebrate all you sacrificed to bring him into this world. We believe that the world is a better place with him in it. He is amazing. This letter is touching, beautiful, and will bring healing if Colton’s birth mother ever sees it. God bless you for being part of God’s Restoration in a sweet little boy’s life. The road before you is long, and at times, will seem difficult. But Colton’s Creator placed him in your hearts and in your home for a reason. He will finish what He has begun in Colton and in you. It is an honor to be a part of your journey. What a beautiful letter and what a beautiful expression of love towards Darla! I love how you have walked through this process with open hands and how wonderfully you love and parent Cole. He is a beautiful soul and you and Andrew have so much to do with that. You are amazing parents! God knew that you would be the perfect match for Cole!